Gravel-bed river floodplains are some of the most ecologically important habitats in North America, according to a new study by scientists from the U.S. and Canada. Their research shows how broad valleys coming out of glaciated mountains provide highly productive and important habitat for a large diversity of aquatic, avian and terrestrial species. This is the first interdisciplinary research at the regional scale to demonstrate the importance of gravel-bed rivers to the entire ecosystem. 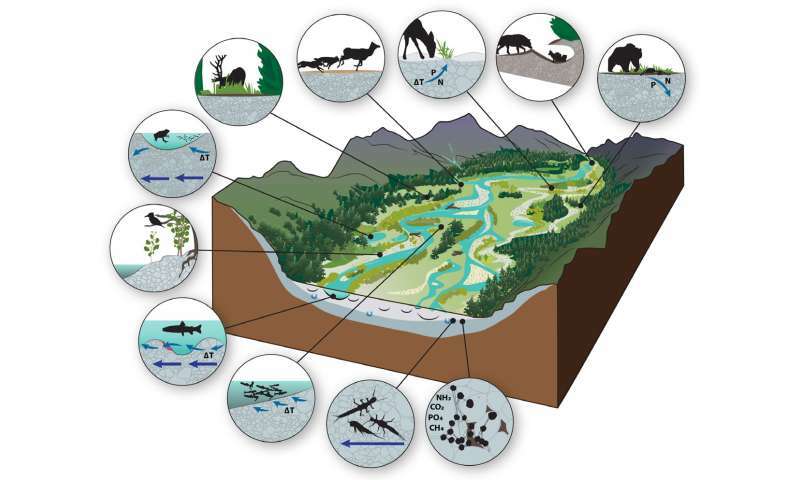 University of Montana Professor Ric Hauer, director of the Center for Integrated Research on the Environment, leads a group of authors who looked at the full continuum of species and processes supported by gravel-bed rivers, from microbes to bull trout and from elk to grizzly bears. Gravel-bed rivers are found throughout the world in mountainous regions, but the complexity of how they benefit species has not been extensively studied before now. The team of scientists on the study includes Hauer; Harvey Locke, co-founder of the Yellowstone to Yukon Conservation Initiative; UM professors Vicky Dreitz, Mark Hebblewhite, Winsor Lowe and Cara Nelson; Clint Muhlfeld, research aquatic ecologist from the U.S. Geological Survey; Professor Stewart Rood from University of Lethbridge; and biologist Michael Proctor of Birchdale Ecological. 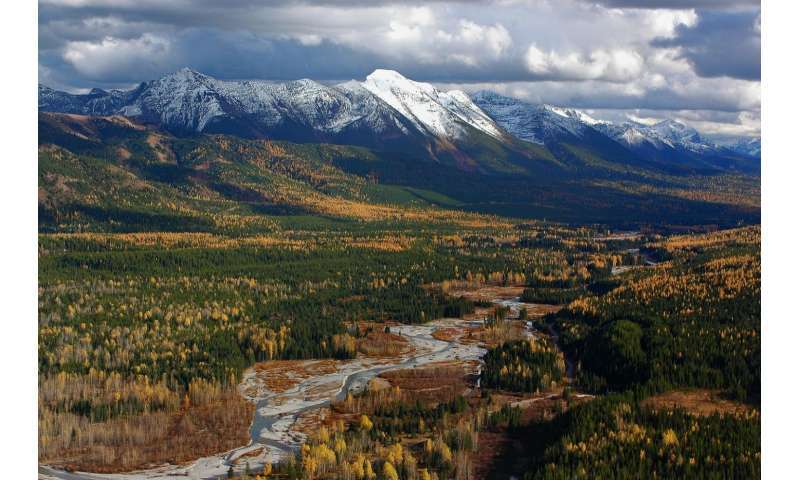 For the entire Yellowstone to Yukon region, which stretches from Yellowstone National Park north into Canada's northern Yukon Territory, gravel-bed river floodplains support more than half the region's plant life. More than 70 percent of the region's bird species use the river plains while deer, elk, caribou, wolves and grizzly bears use the floodplains for food, habitat and important migration corridors. "If we think about the Flathead River for example, flowing from British Columbia into the U.S. and along the western edge of Glacier National Park," Hauer said, "we might wrongly imagine that the river is only water flowing in the channel. But, these gravel-bed systems are so much more than that. The river flows over and through the entire floodplain system, from valley wall to valley wall, and supports an extraordinary diversity of life. The river is so much bigger than it appears to be at first glance." Gravel-bed river systems provide complex habitats for species because of the system's ever-changing features: gravel and cobbles that move with flooding, scoured and changing river channels, and a constant flow of water into and out from the gravels of the river. This water extends across the U-shaped valley bottom often hundreds of meters or more from the river channel, and supports a complex food web that includes aquatic species as well as a vast diversity of avian and terrestrial species. These processes are driven by the river's changes in volume throughout the year. The gravel-bed rivers also provide essential connectivity across the landscape for both terrestrial and aquatic organisms, which is critical in a time of climate change. These floodplains also are some of the most endangered landforms worldwide. Human settlement, agriculture, industry and transportation often occur in flat, productive river valleys. While there are many protected areas in the northern Rocky Mountains of the United States and Canada such as Yellowstone and Banff national parks, humans have altered the structure and function of the gravel-bed river floodplains outside, as well as inside, these protected areas. "The increasing pressures of climate change mean that species need continued access to intact gravel-bed river ecosystems in order to survive," Hauer said. "These systems must be protected and those that are already degraded must be restored." The paper, "Gravel-Bed River Floodplains are the Ecological Nexus of Glaciated Mountain Landscapes," is published online in Science Advances.